UPDATED: Mon., Dec. 17, 2018, 8:46 a.m.
An estimated 9 percent of Whitworth University’s students smoke, vape or chew tobacco. Starting Jan. 1, they’ll have to take the habit off-campus. Amy Cutler, director of Student Health Services, said discussions for making the campus tobacco- and vape-free have stretched back more than two years. The Centers for Disease Control and Prevention lists smoking as the leading cause of preventable death in the United States. “If there’s something we can do about it, then that’s worthwhile,” Cutler said. If students are caught smoking, vaping or chewing tobacco on campus, they’ll go through a conduct process that examines each offense on a case-by-case basis. But the school first and foremost wants to help the student quit. “Nobody is obligated to quit, but we want to provide resources to do so,” Cutler said. Punishment isn’t off the table, but it will be reserved for repeat offenders and based on other factors. Cutler said the rules for issuing citations or suspensions aren’t written or definite. Some Whitworth students voiced opposition to the smoking ban, saying that it won’t help the problem. Senior Meiyah Neely said the ban will “definitely not” stop students from smoking from vaping. She sees about 20 people a day smoking or vaping, she said. Junior Morgan McKeague said students, in general, have been mildly upset by the announcement of the ban. Whitworth wouldn’t enforce the ban off school grounds, and McKeague said it would mean students would wander off campus to continue the habit. Cutler said other schools’ tobacco bans have influenced Whitworth’s decision. About 50 percent of America’s colleges or universities that have similar rules. Locally, Gonzaga University has no bans on tobacco, Cutler said, and Eastern University is moving toward a ban. 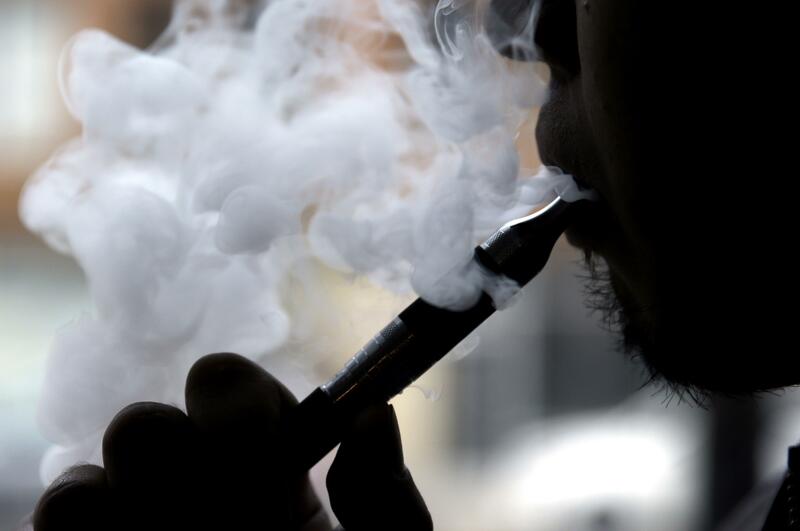 Vaping is growing in popularity among young people in Spokane and in the U.S. It’s said to be a healthier alternative to smoking, but the lack of regulation around it concerns Cutler. Vape “pens” tend to be marketed specifically to youth, she said, because they commonly have fruity flavors and a sleek look to them. “I think it can be very insidious,” she said. Whitworth has conducted surveys and hosted town halls over a yearlong period specifically to get feedback on the ban, and in the end, the school didn’t get enough blowback to stop from moving forward, Cutler said. “Tobacco bans are definitely becoming the new norm,” she said. Editor’s note: This article was changed on Dec. 17, 2018. Published: Dec. 17, 2018, midnight Updated: Dec. 17, 2018, 8:46 a.m.